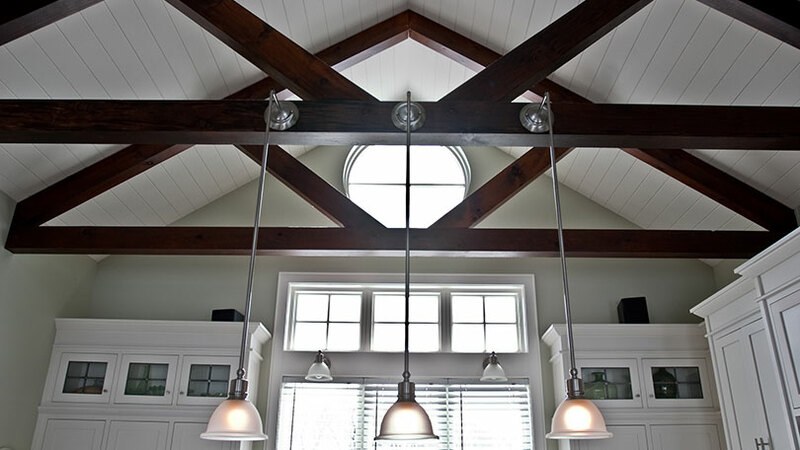 Here at Hamilton Wood Products we specialize in post-and-beam (sometimes referred to as Timber Frame) heavy timbers rather than "dimension lumber" such as 2"x4"s. Traditional timber framing creates structures using heavy squared-off and carefully fitted and joined timbers with joints secured by large wooden pegs. It is commonplace in wooden buildings from the 19th century and earlier. Post & Beam comes from making things out of logs and tree trunks. Timber frame buildings are capable of bearing heavy weight without excessive use of interior space. This building method has been used for thousands of years in many parts of the world and has a classic look. © 2013-2017 Hamilton Wood Products. All Rights Reserved.